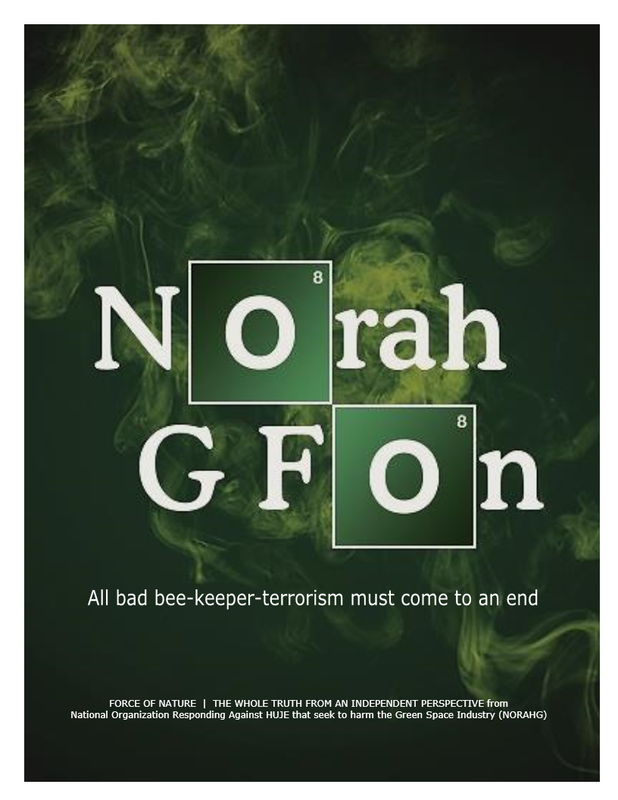 The bee-keeper trade associations in Quebec and Ontario now OPERATE AS ANTI-PESTICIDE AND ENVIRONMENTAL-TERRORIST ORGANIZATIONS, under the direction of Sierra Club, Environmental Defence, and others. Trade associations like Ontario Bee-Keeper Association ?!?! Trade associations like Fédération des Apiculteurs du Quebec ?!?! They are listed among CANADA’S PROMINENT ANTI-PESTICIDE & ENVIRONMENTAL-TERRORIST ORGANIZATIONS. The actions of these trade associations are DESPICABLE AND DESTRUCTIVE, since they DEMAND RECKLESS AND ARBITRARY PROHIBITION against Neonicotinoid Insecticides. Moreover, bee-keeper trade associations are WRONG about Neonicotinoid Insecticides since the WEIGHT OF THE SCIENTIFIC EVIDENCE CLEARLY SHOWS THAT THEY DO NOT AFFECT BEES. If they are successful by IMPOSING PROHIBITION, the CONSEQUENCES will be CATASTROPHIC for the Agriculture Industry and the Golf Industry. Moreover, these two trade associations are DEEMED AS RENEGADES, and ARE NOT ENDORSED by the NATIONAL body that oversees them, Canadian Honey Council. 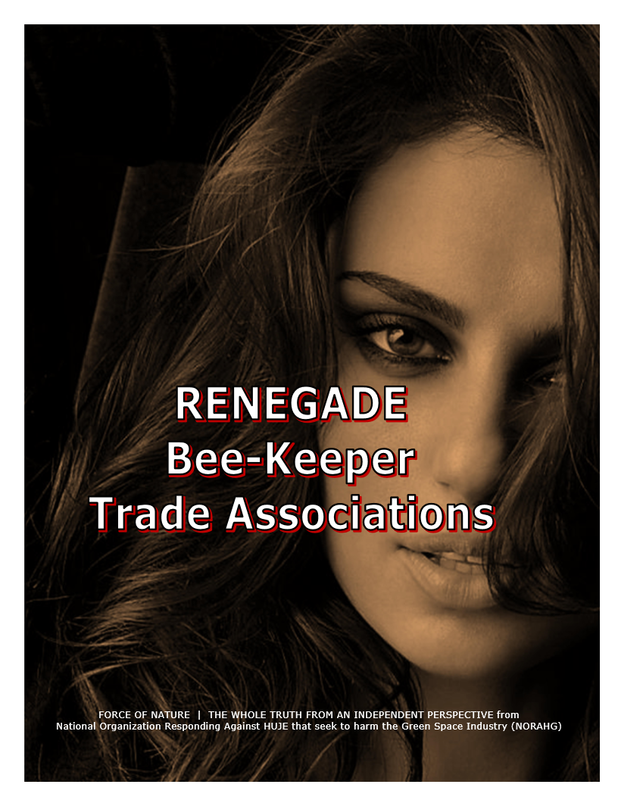 Ontario Bee-Keeper Association ― RENEGADE trade association ! Fédération des Apiculteurs du Quebec ― RENEGADE trade association ! 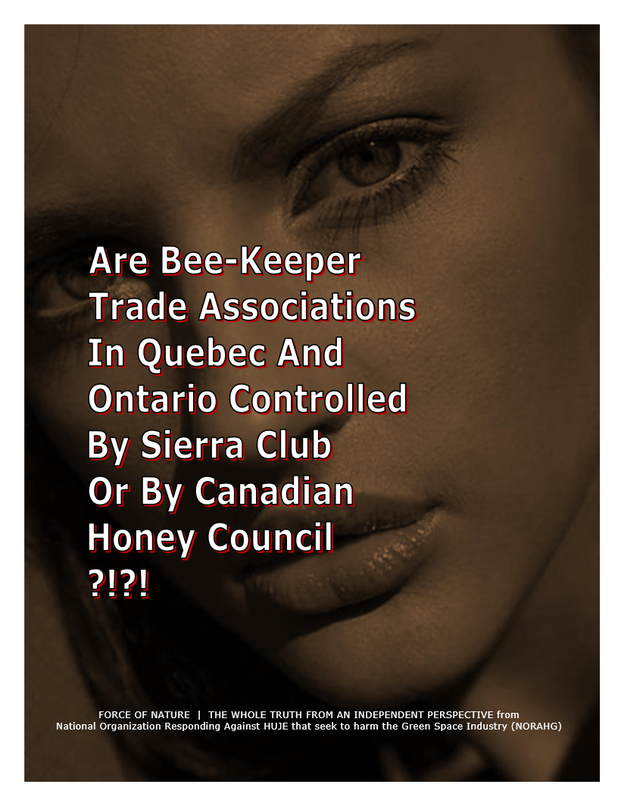 So, are bee-keeper trade associations in Quebec and Ontario controlled by Sierra Club or Canadian Honey Council ?!?! Canadian Honey Council is supposed to be the NATIONAL trade association that oversees the local one. However, Sierra Club SPEAKS WITH THE SAME LANGUAGE as Ontario Beekeeper Association. Sierra Club is LISTED as the NATION’S PROMINENT ANTI-PESTICIDE AND ENVIRONMENTAL-TERRORIST ORGANIZATIONS. Sierra Club has already INFLICTED HORRENDOUS AND CATASTROPHIC CARNAGE, as well as TERROR, DESPAIR, and DESTITUTION against THOUSANDS of hapless victims throughout the Professional Lawn Care Industry. Sierra Club has CONSPIRED TO IMPOSE RECKLESS AND ARBITRARY PROHIBITION against pest control products used in the Urban Landscape. Ontario Bee-Keeper Association and Fédération des Apiculteurs du Quebec share the SAME TYPE OF OBJECTIVE … PROHIBIT Neonicotinoid Insecticides. Or, perhaps bee-keeper trade associations are actually controlled by Anti-Pesticide Lunatic-BREEDERS. According to the Government of Ontario, a BEE HEALTH WORKING GROUP is needed to make recommendations on how to mitigate the potential risk of certain Neonicotinoid Insecticides to honey bees. The Government of Ontario formed this Anti-Pesticide Working Group with the PRE-CONCEIVED OPINION that Neonicotinoid Insecticides are somehow harming bees, when, in fact, THEY ARE NOT. This working group is TOTALLY UNDEMOCRATIC ! We are SO SCREWED with the Government of Ontario. It is a MYTH to believe otherwise. Ontario Bee-Keeper Association is ECSTATIC ! The Bee-BREEDERS who seemingly OPERATE AND CONTROL this trade association are also ECSTATIC ! These BREEDERS MASQUERADE as Bee-Keepers in the working group. As members of the Ontario Bee Health Working Group, Bee-BREEDERS will MALICIOUSLY VOTE IN FAVOUR OF ARBITRARY PROHIBITION against Neonicotinoid Insecticides in order to PROFIT FROM UNJUSTIFIABLE FINANCIAL COMPENSATION. 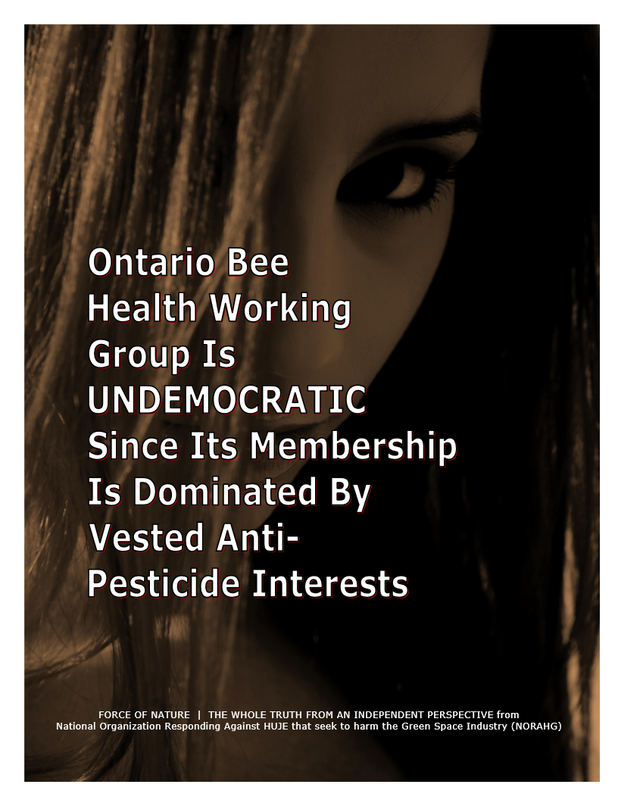 Why are Bee-BREEDERS so interested in being members of Ontario Bee Health Working Group ?!?! Do they have VESTED ANTI-PESTICIDE INTERESTS ?!?! Are Bee-BREEDERS unable to supply Bee-Keepers with PEST-FREE QUEENS ?!?! Are their DEMANDS FOR PROHIBITION A DIVERSION FROM ANY SPOTLIGHT ON BEE-BREEDER INCOMPETENCE ?!?! Are they CONCOCTING STORIES about Neonicotinoid Insecticides in order TO CONCEAL THE FACT THAT THEIR QUEENS ARE PEST-INFESTED ?!?! The Ontario Bee-BREEDERS’ Association is supposed to be a mere DIVISION of the Ontario Bee-Keepers’ Association. Why are BREEDERS actually OPERATING AND CONTROLLING the ENTIRE Ontario Bee-Keepers’ Association ?!?! Does anyone hear the words CONFLICT-OF-INTEREST ?!?! Remember, Bee-Keepers ARE INSURED FOR THEIR LOSSES. However, BREEDERS ARE NOT LISTED as part of the GROUP LIABILITY INSURANCE described by Ontario Bee-Keepers’ Association ! What are THE TRUE OBJECTIVES of those who OPERATE AND CONTROL this RENEGADE trade association ?!?! Is this a PLOY to attract ENVIRO-PROFIT in the form of ILLEGITIMATE COMPENSATION FOR BREEDER LOSSES ?!?! Ontario Bee-Keepers’ Association ( a.k.a. Ontario Bee-BREEDERS’ Association ) will use the BOGUS RESULTS OF THEIR PETITION AS PROPAGANDA AGAINST NEONICOTINOID INSECTICIDES. Fully a third of our food relies on pollinators: without bees, Ontario’s food supply could be in serious trouble. Join Ontario’s beekeepers and their agricultural, environmental and scientific partners in urging Premier Wynne to BAN NEONICOTINOID PESTICIDES in time for the 2014 planting season. Sign this petition and share with everyone. I am asking you to IMMEDIATELY BAN THE USE OF NEONICOTINOID PESTICIDES in Ontario. Last year, extensive losses [ ?!?! ] of honey bees and other pollinators associated with the application of these toxic pesticides [ ?!?! ] to field crops in Ontario were documented by Canada’s Pest Management Regulatory Agency. I am asking you to act now. 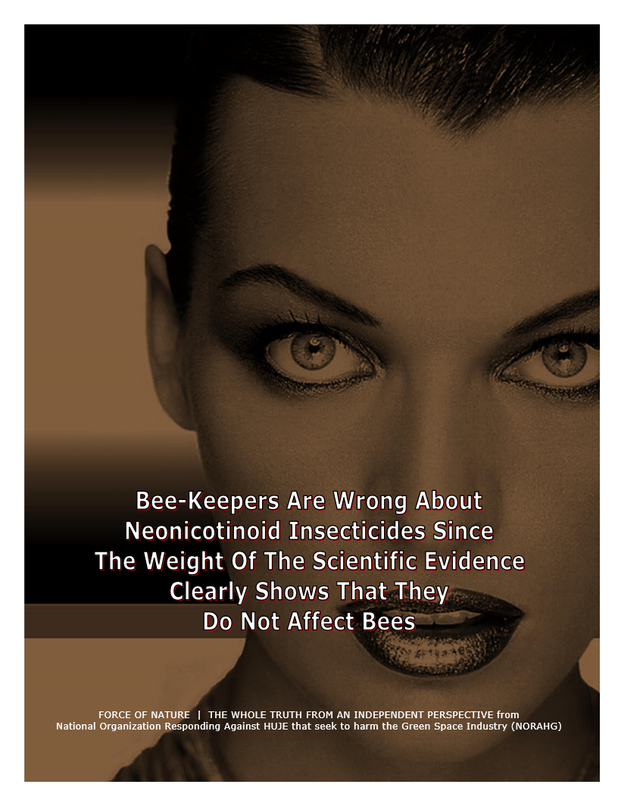 • Bee-keepers are the least credible and the least qualified to provide any advice concerning neonicotinoid insecticides, and therefore, cannot be trusted. • Bee-keepers are the least credible and the least qualified to provide any advice concerning neonicotinoid insecticides. • Bee-keepers know almost nothing about pest control products.